Psoriasis and Atopic Dermatitis: Two Diseases or One Spectrum? 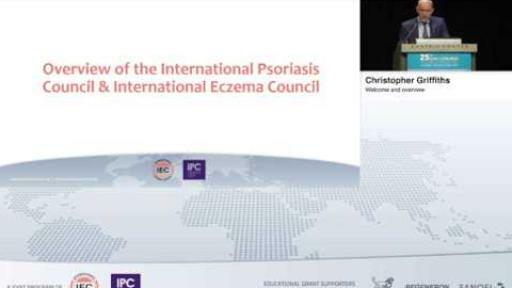 Filmed during the European Academy of Dermatology and Venereology congress in Vienna, the International Psoriasis Council and the International Eczema Council are pleased to bring you this series of on-demand webcasts featuring a very impressive international faculty debating both sides of these dermatological conditions in terms of epidemiology/natural history, immune pathways, comorbidities, and pediatric diagnosis, phenotypes and translation from adults. Watch leading experts explore the current understanding of the epidemiological and clinical similarities between psoriasis and atopic dermatitis, while highlighting the need to better sub-classify based on underlying immunophenotype. Get more information about our upcoming educational programs and learning opportunities.